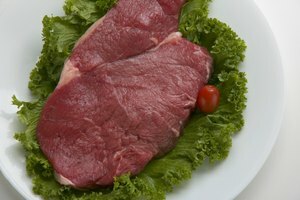 A bit of a non sequitur, the steaks commonly referred to as mock tender steaks are not particularly tender. 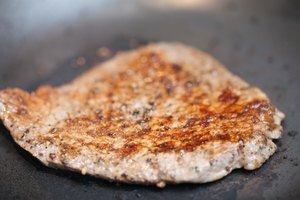 The term is often used to describe a chuck fillet steak, fish steak, shoulder tender or chuck clod tender. 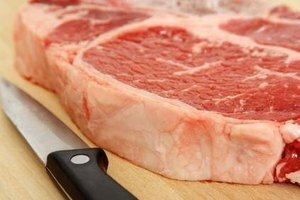 It is the cut next to the top blade, and is usually too tough to pan fry, broil or barbecue. 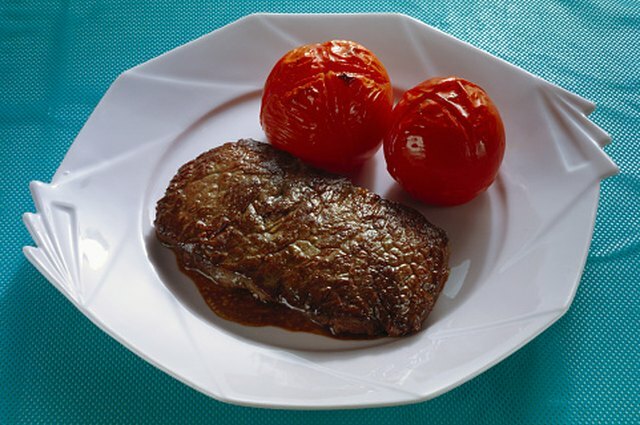 Braising the mock tender steak in a liquid along with something that will provide flavor, such as garlic and onions, produces a more palatable option for this cut of steak. Heat 1 tbsp. olive oil in a frying pan over medium heat. Slice an onion and fry in the hot oil for about five minutes or until it is translucent. Add one minced garlic clove and fry for one minute. Transfer them both to a plate. Salt and pepper both sides of a 4-to-6-oz. 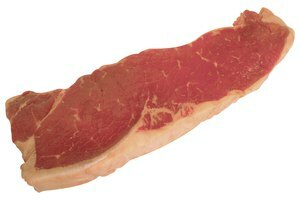 mock tender steak. Turn the heat under the pan up to high and heat 1 tbsp. olive oil. When smoke is starting to rise from the pan, place a the steak into the pan. Brown it on one side for about five minutes, then turn it over and brown on the other side for five minutes. Heat 1 cup of beef broth over high heat in a small saucepan. Bring to a boil, then turn the heat off. Pour the beef broth in the saucepan. Add 1 cup of red wine, the onions and garlic to the pan. Bring the liquid up to a boil, then immediately turn the heat down to a medium-low setting. Cover the pan tightly and simmer the liquid for 60 to 90 minutes. 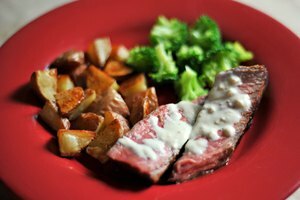 Remove the steak from the pan and wrap it in aluminum foil for ten minutes. Resting the meat allows the juices to stabilize in the meat, making it juicy and easy to cut. Serve the steak with the liquid au jus on the side. Pour the hot beef broth into the frying pan next to the steak, not on top of it. Avoid boiling the liquid after turning the heat down to medium-low. Boiling will produce a tough steak; a slow simmer makes it tender.